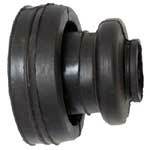 Rubber sleeve for Wartburg 311 outer joint universal drive shaft. Drive joint instert made of rubber for the wheel drive shaft Wartburg 311. Mounting place gearbox side. New reproduction. Rubber sleeve gearbox side for the right and left universal shaft. 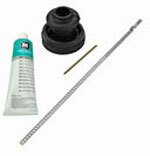 One kit of rubber boot and assambly parts for the universal shaft gearbox side. Fit for all universal shaft of the Wartburg 353 and Wartburg 312 right and left hand. Spring clamp for mounting the rubber sleeve gearbox side at the drive shaft. 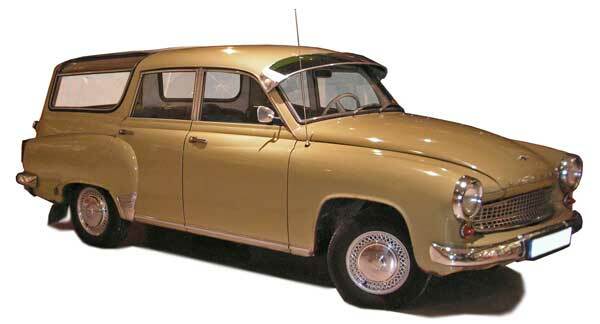 Fit for the right and left car side at all types of Wartburg 353 and Wartburg 312. 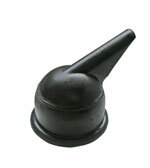 This part is an new reproduction made in Germany. Best replacement for the original one. Simply to assamble also by mounted driveshaft. Oil seal for the Wartburg 311 gearbox. Rubber sleeve for central lubrication system Wartburg 311.